Val d'Isere is made up of four main ski areas that are all interlinked. 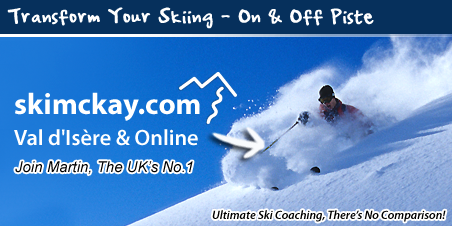 The skiing is extremely expansive and varied. 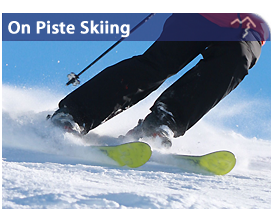 Learning to Ski the pistes properly and perfecting your Skiing technique in Val d'Isere will give you the biggest confidence boost possible. The first ski area that you enter in Val d'Isere is called La Daille. Consisting of long wide open ski runs, this area is where the first World Cup Downhill ski race is staged each December, signifying the start of the racing calendar. The second skiing area is the Bellevarde, this is a skiers paradise, consisting of greens, blues, reds and blacks as well as multiple off piste skiing routes. Here you'll find the Face de Bellevarde black piste which staged the Albertville Olympics 1992 Men's downhill race as well as the World ski championships men's slalom in 2009. Those who love long, steep and technical slopes will enjoy the Face de Bellevarde. In the far distant corner lies the Grand Pre, a superb terrain for finding your ski feet or learning to ski. From here you can descend to the Manchet valley via the black 'L'epaule du charvet' or the blue gun barrel piste 'Santons'. The third skiing area is called Solaise, also the name of the dominant mountain that over looks Val d'Isere. The Solaise mountain has been re carved to improve the skiing descent and is just one small part of this magnificent skiing area. You can ski to le Laisinant from here via the famous blue piste 'L' or via the red 'Mattis', this is just the tip of the iceberg. The fourth skiing area, Le Fornet, is high up at the end of the valley. Le Fornet is a very popular area boasting great skiing conditions with some of the best fresh snow found high up on the Glacier du Pisaillas. The neighbouring ski area of Tignes offers yet another wide and varied ski area. Val d'Isere and Tignes combined are formally know as "L'espace Killy" after Jean - Claude Killy, two times World Cup champion from 1967 to 1968, and winner of three gold medals at the 1968 winter Olympics in Grenoble.